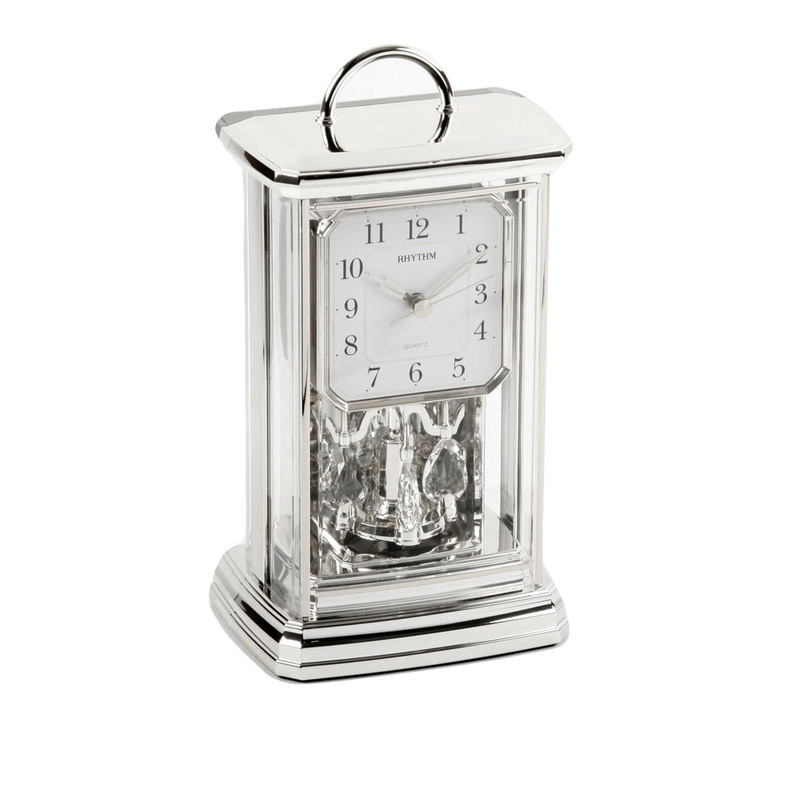 A luxurious silver finished rectangular Rhythm mantel clock with an ornate traditional design, including a rounded carrying handle, and a rotating Swarovski crystal pendulum. The clock face has a bevelled cornered square arabic dial, silver straight hands and a silver secon hand. Rhythm’s ultra-precise quartz movement keeps perfect time for a lifetime, meaning this stunning timepiece will always remain a focal point in a home. Requires and includes 2 x AA batteries. With superior, Swarovski crystal decoration and unique sound quality, Rhythm is globally renowned as the number one clock brand. Rhythm clocks are the centre of attention, providing a luxurious touch of refined beauty to any style of decoration. Built for a clock lover who appreciates ingenuity, the quality of a Rhythm clock is unparalleled. These beautiful and sought after timepieces are sure to be cherished and treasured for a lifetime.